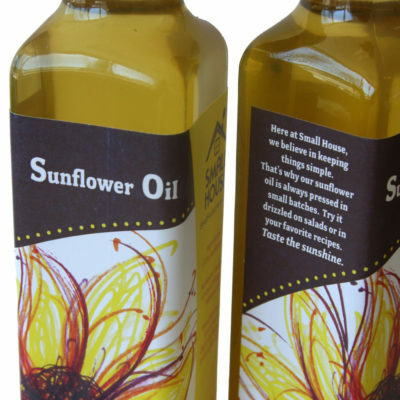 We cold press our Flax Seed Oil right here in Central Michigan! 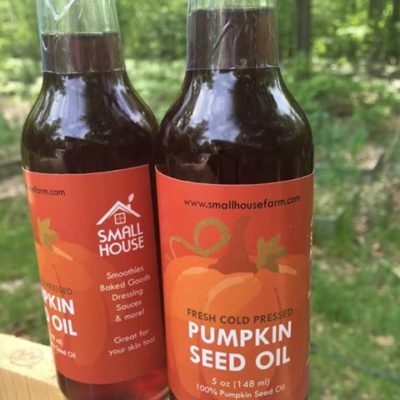 All of our products are hand made in small batches, seasonal and all natural, from our homestead to you. 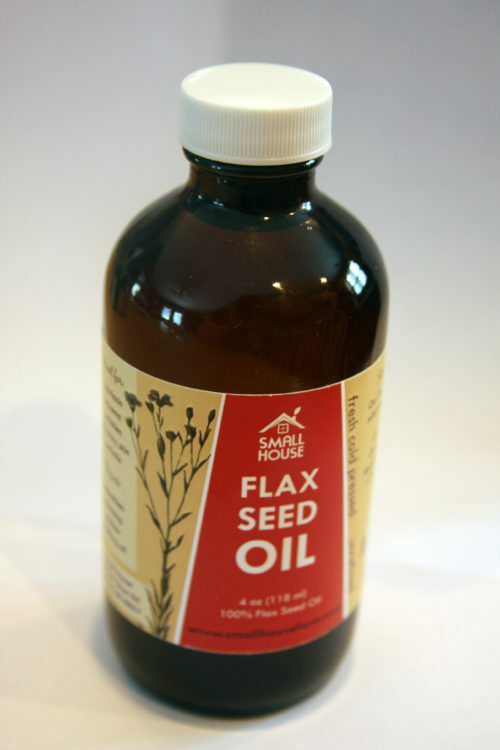 Flax oil is a very popular addition to smoothies and as a nutritional supplement. Not recommended for cooking as heat can turn healthy fats into harmful ones, so add to foods after cooking and just before serving. Best source of Omega 3’s, good source of omega 6, protein, fiber, Vitamins B,C,E and carotene. 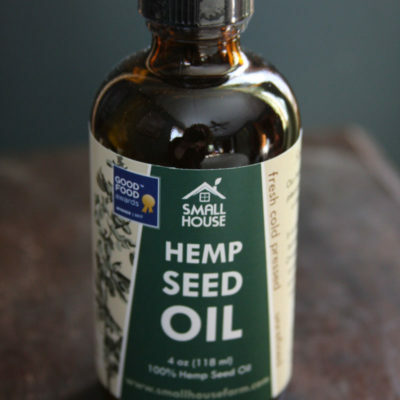 Fun Fact: Flax seed was cultivated in Babylon as early as 3000 BC. In the 8th century, King Charlemagne believed so strongly in the health benefits of flax seed that he passed laws requiring his subjects to consume it.